Two closed modes: 1. Velcro is more convenient for children, free to adjust, and safer. 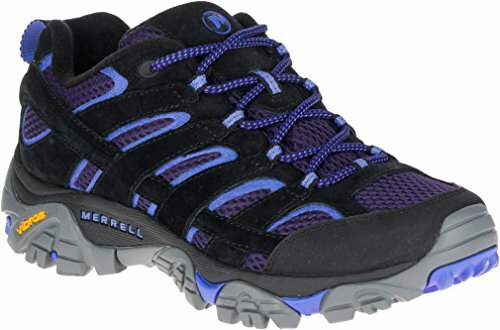 2.Traditional lace-up closure for an adjustable and secure fit. 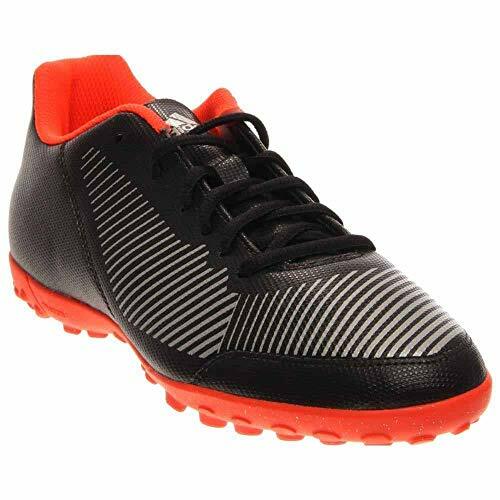 Lightweight synthetic leather upper offers durability,Designed for firm ground, artificial grass and hard ground. 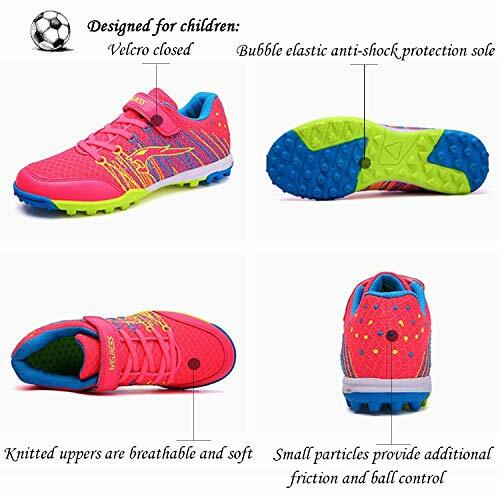 Lightweight and comfy – Light-footed Control and maximum durability that makes them an ideal choice for turf and indoor soccer play. 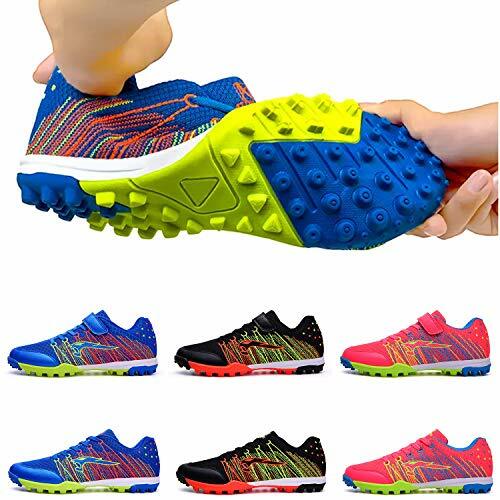 Durability and stable traction: TF cleats are designed with a bubble ball shape, superior shock absorption and rebound ability. 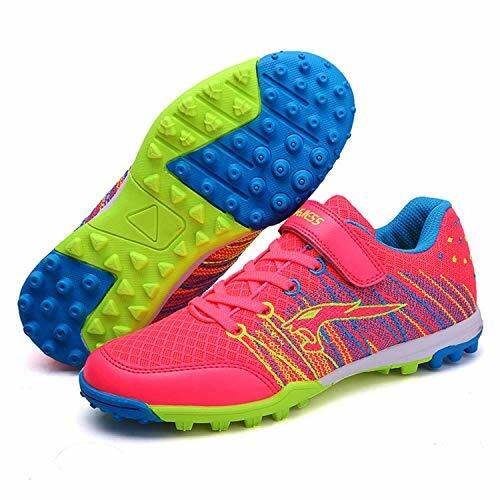 Soft soles, repeated folding will not damage. Special design for enhances ball control: On the fabric of the heel, small particles provide additional friction and ball control. 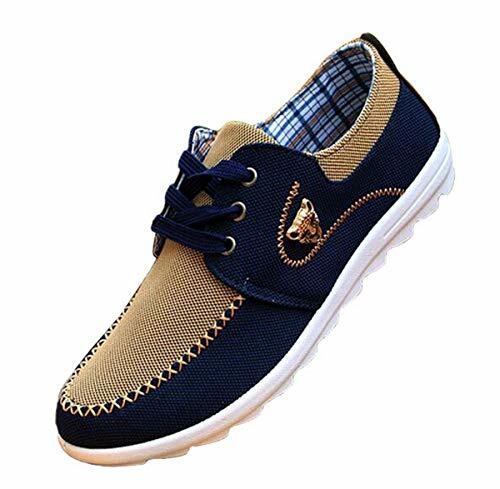 which also improves the adaptability of the shoes under various weather conditions. 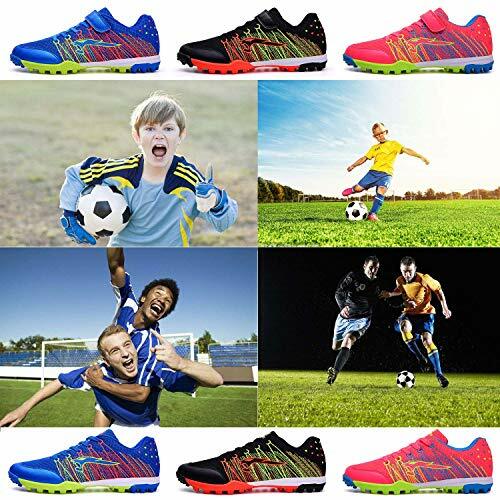 Soccer cleat, flexible sole, turf shoes, easy to wear and comfortable, everlasting and suitable for regular use. 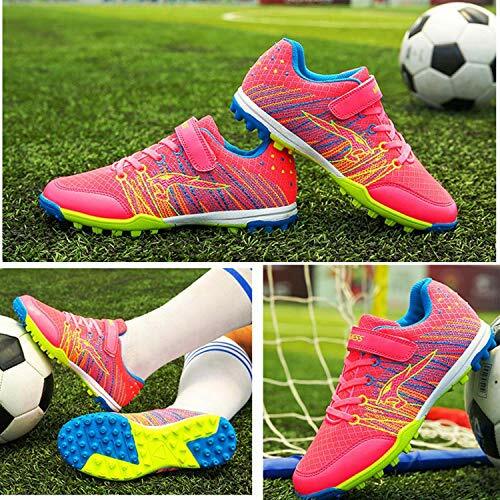 Cute football shoes, suitable as a gift to your lover, children, classmates, friends, etc. Christmas gifts don’t have to be considered, just choose it.